Supportive school discipline is a system-wide collection of programs and practices that promote positive behaviors while preventing negative or risky behaviors. It is positive rather than punitive, and it aims to create a safe learning environment that enhances all students’ outcomes.A number of approaches to supportive school discipline have been shown to increase school safety without increasing suspensions and expulsions. 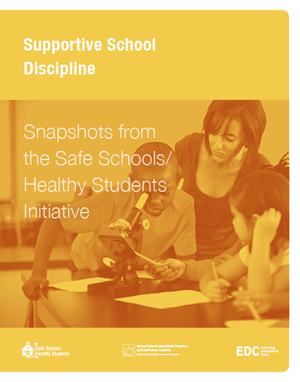 By using positive practices that engender measurably better student outcomes, the Safe Schools/Healthy Students sites featured in this Snapshot were able to addresses the underlying factors that contribute to school violence, students’ substance abuse and mental health problems, school failure, and dropouts. Read about communities that adjusted their school discipline policy from punitive to supportive and saw great results.